Usually, when there's a hot tuner or a bright-colored custom perched atop a mirrored base on the display table, you can be sure it was built by Cruz, as he prefers to be called. But Cruz loves all form of automobiles and every now and then, he tackles something a little out of character. 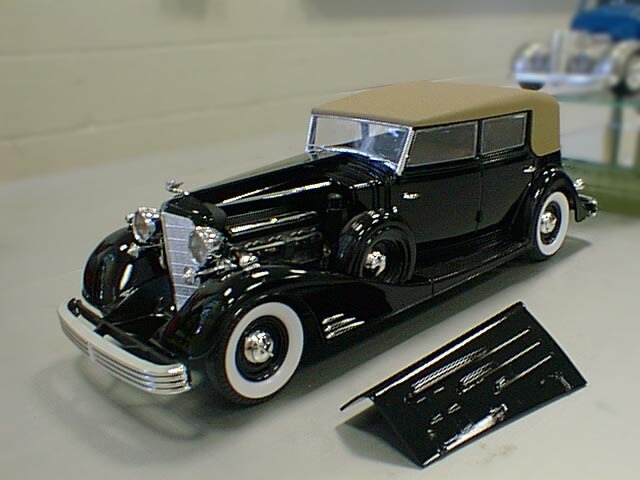 He said he built this shining example of an Italeri-made 1933 Cadillac town car for the Cadillac theme at the 2003 Super September Showdown in Gilbertsville, PA Contest.